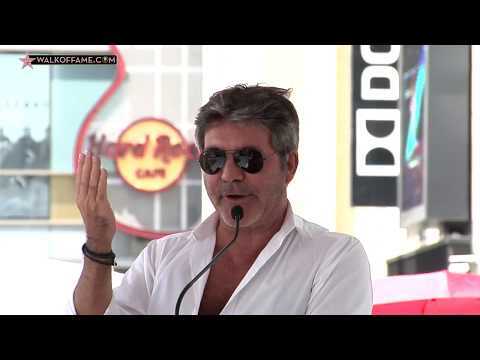 Watch the complete star ceremony as the Hollywood Chamber helps unveil the star for Simon Cowell below. The Hollywood Chamber of Commerce honored Simon Cowell with the 2,642nd star on the Hollywood Walk of Fame on Wednesday, August 22, 2018. The star was dedicated in the category of Television at 6801 Hollywood Boulevard in front of Hollywood & Highland Complex. Helping Emcee Leron Gubler, President & CEO of the Hollywood Chamber of Commerce to unveil the star were guest speakers Kelly Clarkson and Rob Stringer, CEO of Sony Music Entertainment . In 2004, Syco Entertainment was formed as part of Cowell’s new Sony Music partnership. Syco Entertainment is one of the world’s leading global music, film, and TV production companies and is responsible for some of the most successful global music and TV franchises. Artists signed to Syco Music have included One Direction, Camila Cabello, Little Mix, Louis Tomlinson, PRETTYMUCH, Labrinth, James Arthur, CNCO, Grace Vanderwaal, and many more. Syco’s television assets include two worldwide record-breaking shows: The X Factor and Got Talent. Both formats have launched more global superstars than any other talent show in history.